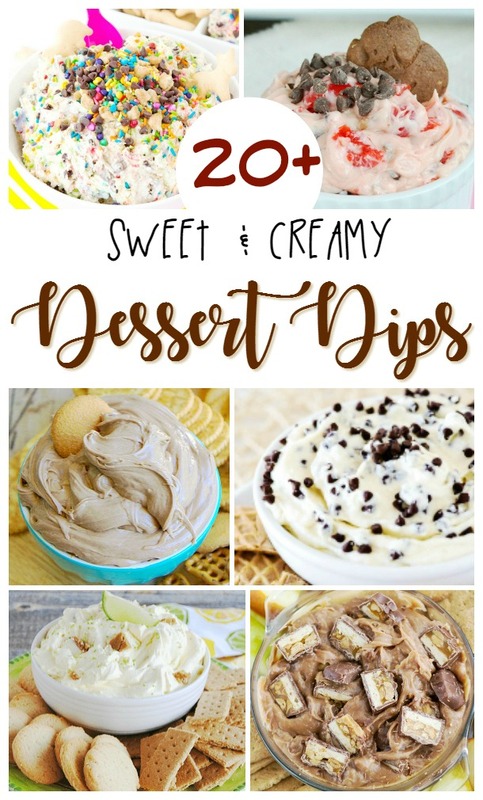 Dessert Dips are a quick, easy and delicious! I often make dessert dips when I don’t have time to bake or need to bring a sweet treat to a pot luck. Now that the weather is warming up, there will also be lots of barbeques and pool parties too! In fact, I’ve even made dessert dips for birthdays, holiday parties and even just plain old, everyday dessert. Great for dipping cookies, pretzels, apple slices and more! 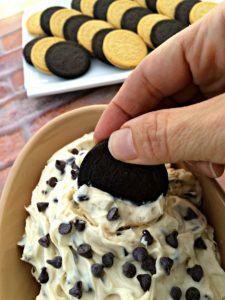 Some of my favorites are cheesecake dessert dips. I will often use Greek Cream Cheese to add a little protein. Plus, you can typically substitute Greek yogurt for sour cream. No one has to know you’re adding a bit of nutrition to a decadent dessert! So TIPical Me – Chocolate Chip Cheesecake Dip – This is one of our favorites! So TIPical Me – Toffee Caramel Cheesecake Dip – And this one has quickly disappeared every time I have brought it to a potluck! Which dessert dips will you try first?